The Quad Gutter is so adaptable because of its classic form and attractive style. It can blend perfectly with older style colonial and cottage homes and is also used extensively in new home construction. 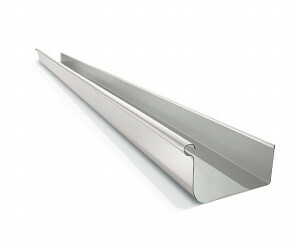 We have this gutter style available in a wide choice of sizes and can be optioned with slots to prevent water overflow. All Type Roofing are experts in roofing and guttering solutions – and we will be able to help you determine whether the Quad Gutter is the right style for your home – or whether there might be a more suitable alternative gutter style in our selection.